•	Distance travelled and time taken will be calculated as of garage to garage. •	When used km exceeds the standard coverage km, then the total used km will be calculated. •	When used km is lesser than the standard coverage km, then coverage km will be calculated. •	Return journey after midnight will be charged with an additional calendar day. •	On cancellation, the customer will be liable to pay 60% of total amount. •	The rentals will be subjected to the terms and conditions specified in the rental agreement. 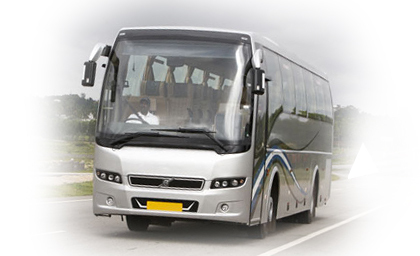 •	Reservations should be made at least 24 hour prior to the rental, both for the local and outstation use. •	All drivers will be having individual mobiles. •	The rate presently quoted is as per the current market fuel rate and may be subjected to raises with hike in the market price. •	There will be extra service tax. •	No responsibility will be held for the vehicle’s late running owing to traffic hassles, breakdowns, accidents etc. •	In case of any unavailability of the car booked by the party, an equivalent genuine segment car or an upgraded segment of the same shall be availed. • Mineral water/ soft drinks/ice box.